Sunday seemed like a very long day to me and not in a bad way. In a way it was slow and easy and very enjoyable. It just seemed to go on forever. I tried to make the most of it. 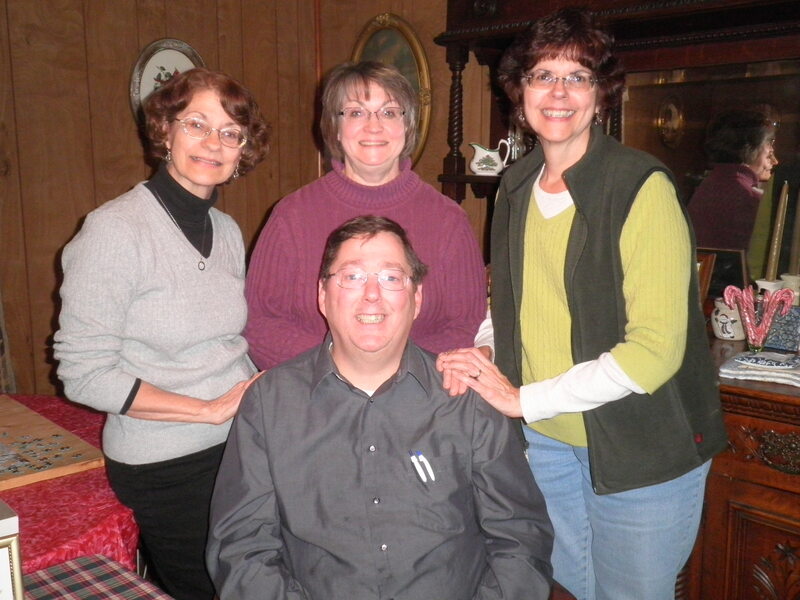 Our only real plan was dinner at my sister Ele’s house with her wonderful in-laws Bill and Judy. We’ve known them for so long that they are part of our family. We don’t get together often enough, but we’re trying to rectify that situation. Ralph and Bill always have such a good time talking about history and Civil War matters. It’s fun to watch them together. Dinner was quesadillas which of course is OK by me! Ele makes them in her Panini maker and they worked out great. I finally broke the news to Ralph that I have a quesadilla maker (Gotten at Goodwill for $5 of course!) and there are more quesadillas in his future. He was not unhappy! 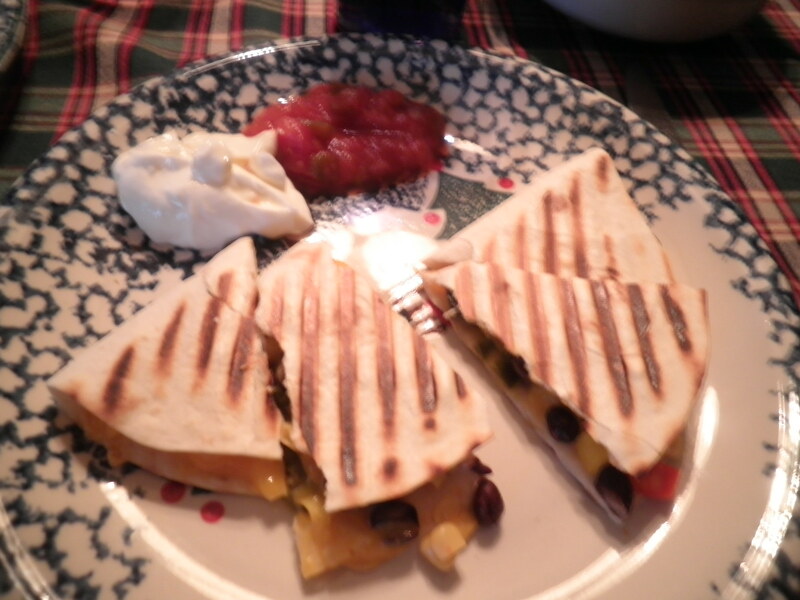 Mine had black beans, corn, cheese, onions and pickled jalepenos…so tasty! Salsa and sour cream completed the plate. I was proud of myself…Ele offered to make me another but I said No Thank You. 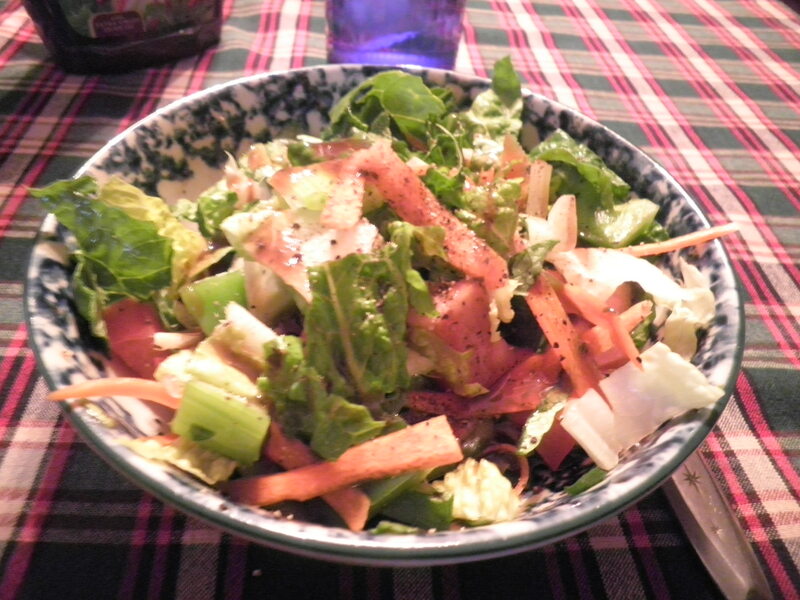 I didn’t say No Thank You to seconds on the salad, in fact this is my second dish. I ate a whole bowl of it before I started on the quesadilla. That helped to fill me and make one quesadilla just right. 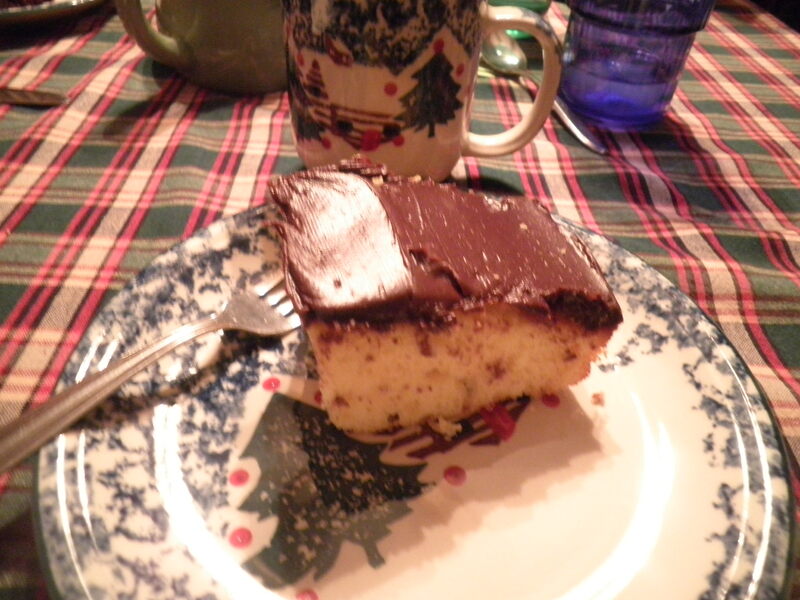 Homemade cake and tea. Very tasty, but that was all even though there were also brownies available. I was very proud of myself. We talked and talked until I was half asleep. Ele, Judy, Ralph and Bill seated in the front. 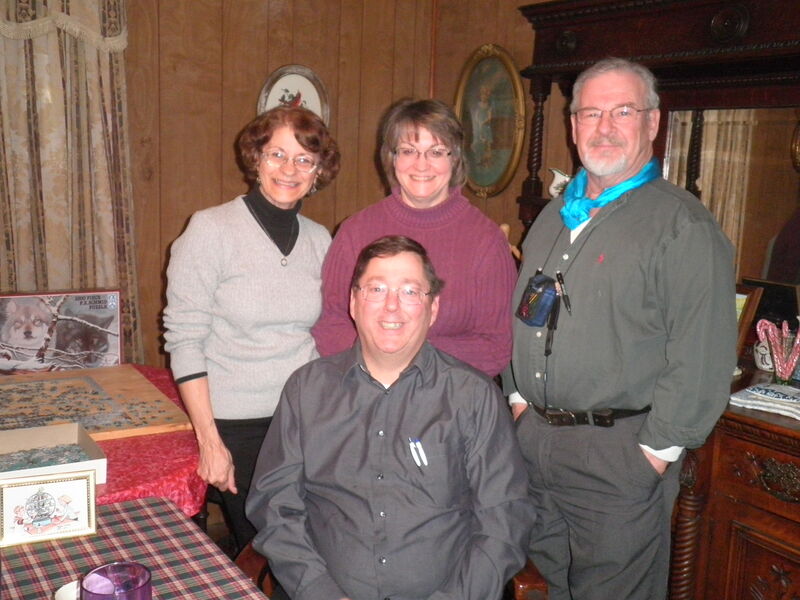 We had a great time and we’ve already set the date for our next get together. Soon! I will definitely add the recipe. Florida was so beautiful. I wish we could have gotten together while I was there. I may be visiting again and I’ll see what I can do about that! Hugss! I love nights talking to family so late you’re falling asleep. That usually only happens during the holidays which is good because I need my beauty sleep. You’re too funny! It is great though, isn’t it, Marie? These folks are so much fun. We love to get together. One can never say no thank you to homemade cake. And a quesadilla maker? There is such a thing? What a fabulous invention! Yes, Ameena, there is such a thing as a quesadilla maker. I got mine at Goodwill but you can buy them in real stores too. They make it very easy to make them. What a great way to spend a Sunday, and I agree with Ameena, you can never say no to homemade cake. It was great, Marie! My sister is a terrific baker and cook. I learn lots of things from her.